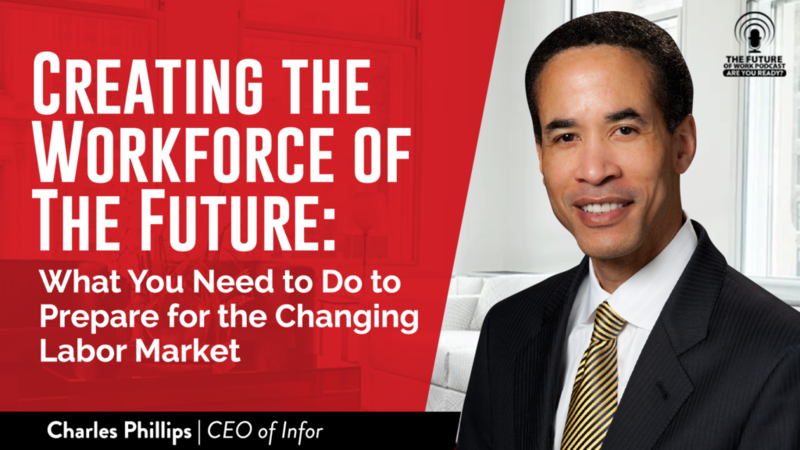 Charles Phillips is the CEO of Infor, the largest privately held technology provider in the world. During Charles’ time at Infor the company has more than doubled in size and became the first major software company to offer an integrated, end-to-end application suite for entire industries. Prior to Infor, Charles was President of Oracle Corporation and a member of its Board of Directors. During his seven and a half year-tenure, the company tripled in size and successfully acquired 70 companies. Prior to Oracle, Charles was a Managing Director in the Technology Group at Morgan Stanley. Before his business career, Charles was a Captain in the U.S. Marine Corps. Infor is a global company with 18,000 employees around the world. It provides enterprise software products for every aspect of business in 180 countries. They build complete industry suites in the cloud and deploy technology that puts the user experience first, leverages data science, and integrates with existing systems. One of Infor’s products is Talent Science. This uses data to assess people with a 25 minute test to see what people value and what they are like. You end up with a profile to see best fit with positions. It can identify people that can work together, chemistry matches, etc. Their current data shows that 40% of new hires don’t work out. So they are trying to improve that percentage with data. If applying, candidates will take this assessment. The system will also put out questions for the hiring manager to ask, so it guides the interview process. In addition, Infor has developed partnerships with universities (such as CUNY) to teach business applications, building their own pipeline of employees. This was important in their move to NYC, but they are also doing this in India and Manila, as well. The emphasis is on technical skills, but they partner with some nonprofits that require leadership skills, so they have included those too. They also have a mentor program that includes people inside of Infor as well as some others outside of the company. Charles’ advice for employees looking to move up is to be intellectually curious. Learn more than what you need for your job. Look around you and see what the people around are you doing. And be the “guy in the huddle who gets the ball”. Be the reliable one so your leader will hand things to you. How does Infor foster the culture to encourage an open environment? How do you create a common culture across the world? What does Charles see coming in the Future of work? ●	What is Talent Science?